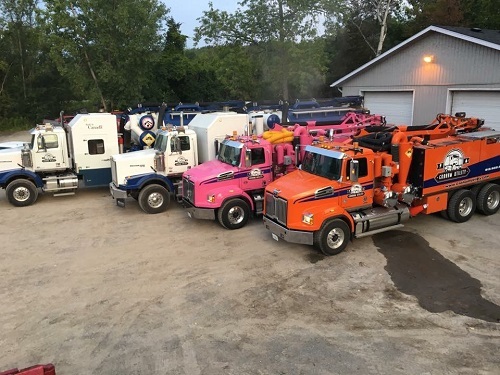 Graham Utility Hydrovac Services has been around since late 2015, starting with one truck doing Hydro work and quickly began picking up work in the telecommunication and industrial sectors. Graham Utility is based out of Belleville, Ontario and also has a shop in Perth. They provide Hydro excavation in the Quinte, Kingston and Ottawa areas and now have 6 trucks, all running steady at least 5 days per week. Graham Utility Hydrovac Services pride themselves on their workmanship and great employees. They honestly believe they have the best team in the industry and that has been key for great relations with contractors. Future plans are to keep growing consistently. Congratulations Graham Utility Hydrovac Services!